Hotel rooms are no longer part of the planned second phase at RiNo development The Hub. While the first phase — an eight-story office building with ground-floor retail space — is nearing completion at 3601 Walnut St., developer Beacon Capital Partners has more room to build on the block. The original development plan, which the city approved last year, called for a 159-room hotel to be built at the corner of Blake and Downing streets. Over the summer, however, the developers proposed an amendment to the site plan, asking to convert the planned hotel structure to more office space. The city still needs to approve the change. Beacon Capital Partners declined to comment. The original site plan indicated The Hub would have 237,600 square feet of office space. Nixing the hotel will give the project 321,950 office square feet once it’s completed, according to the new plan. The second-phase office project is also slated to have ground-floor retail space. 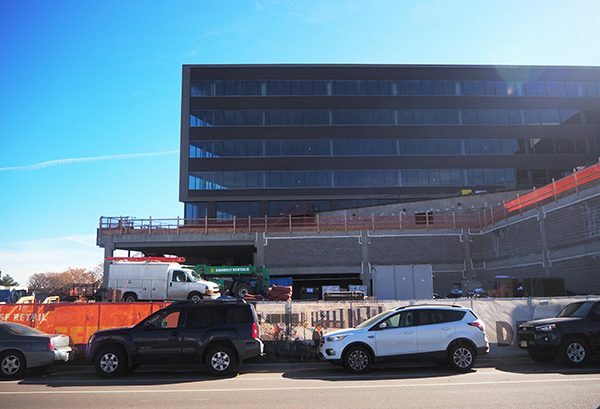 The Hub already has landed big-name office tenants for the portion nearing completion. HomeAdvisor, which is based in Golden, will move its headquarters into the top three floors, a total of 150,000 square feet. And WeWork has leased the fifth floor.